Coworking spaces have exploded onto the office scene and it's not just entrepreneurs and freelancers who've noticed – big business wants in on these innovative work environments too. According to Deskmag's Global Coworking Survey 2016, over ten thousand coworking spaces will open their doors this year, despite increasing real estate prices in key regions. As well as new offices, nearly two-thirds of existing coworking owners want to expand their spaces and one in three are planning at least one additional location. Much has been made of the benefits of coworking spaces for startups, freelancers and entrepreners, particularly those in the tech industry. Being in a coworking space means that the advice and expertise a startup needs to move forward could be just a couple of desks down. Entrepreneurs can take advantage of networking opportunities and freelancers can make themselves available to a variety of clients. In addition, costs are kept low for startups with just a few employees, those that don't want to fork out for offices in big cities like London and San Francisco, but want or need the right address for their business. All this takes place in an environment akin to the much-lauded offices of Google and other tech giants. Coworking spaces often have pool tables, coffee on-demand, brainstorming beanbag spaces and other features that appeal to young, tech innovators who want a more stimulating work environment and a better work/life balance. But these benefits aren't just for startups and freelancers, they can be extended to existing companies who set up satellite bases in coworking spaces. Professional services company KPMG is one of the Big Four auditors, a global corporation that employs tens of thousands of workers. And some of those workers go each day to coworking spaces in London or New York. As an advisory firm, KPMG wants to be close to startups that could quickly scale up and become clients. “Startups and high growth businesses are very different to large and established corporates, and we believe if it's a market that you actively want to be in, you have to physically be there," explains Patrick Imbach, head of KPMG Tech Growth. “Being on the ground everyday allows us to get a better understanding of how entrepreneurs work, get a feeling for what their issues are, and become part of their community. You can't do that from corporate headquarters. Startups can scale very quickly these days and there's no point in putting your hands up three years down the line and declaring, 'You're big enough now for us to want to work with you' — you need to be there from the beginning." But even companies that don't have direct business with startups as KPMG does, can benefit from being part of the coworking environment. One benefit is in recruitment and employee retention, particularly for millennials who value a different work/life balance than may be offered at corporate HQ. “For most large businesses having a space in a coworking environment has nothing to do with cost but all to do with innovation, stimulation of ideas and also in helping with recruitment and retention – particularly for millennial employees who don't want to feel that they are a cog in a large corporate wheel. Many of our younger staff are keen to get involved in what we're doing in our coworking spaces; working with and mentoring some of the startups that we work alongside," says Imbach. Another key benefit for big companies is in putting employees into the entrepreneurial atmosphere of coworking spaces. 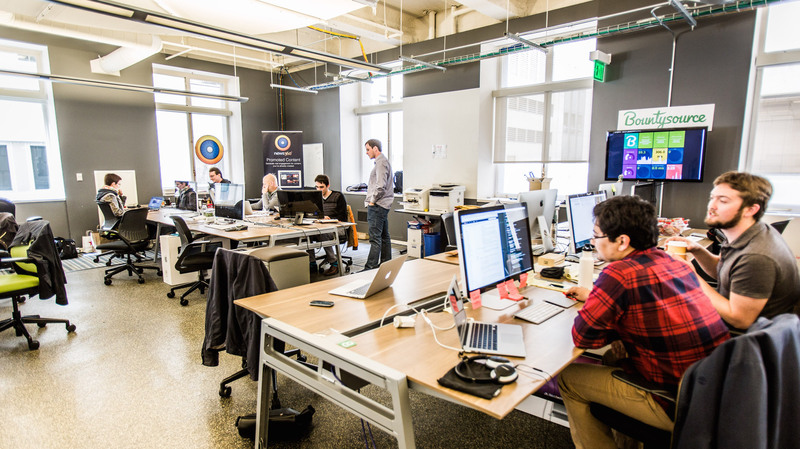 Silicon Valley Bank has partnered with coworking providers in 16 locations across the US. Talking about its coworking space with Scrib in Boulder, managing director Charlie Kelly said: “We are committed to adding value to the startup community. Working with Scrib, we will have the opportunity to be there when inspiration strikes, and when entrepreneurs are developing their financial model or needing an introduction to the right investor." KPMG's Imback sees similar benefits for his firm. “If you are an organization who wants to be disruptive in your field, you have to surround yourself with something that is new and challenging. Having our teams working alongside startup and scale-up businesses gives us access to a huge amount of energy and ideas. “Rubbing shoulders with innovative companies helps us to build relationships and networks within a very exciting area of business, and of course helps us to spot emerging trends for the next big tech idea," he says. It's not just big business that benefits when they decide to put employees into coworking spaces, it can be a big boon for entrepreneurs too. “Much of what we do for early stage companies is mentoring and helping with advice. As companies grow, we can provide tailored, appropriate and valuable professional services as and when they are needed," says Imbach. “Being so close to these companies let's us deliver these services quicker and more effectively. Many of the people we work alongside have just started up so are looking for a little bit of guidance around issues such as setting up a company, tax or very importantly fundraising! We also have access to some of the biggest companies in the UK, so facilitating introductions and putting on events to get the two groups in a room is a responsibility that we take seriously," he adds. Any company that's on the ground floor with startups is going to be seen as a valued partner if and when they scale up. Even if corporations don't have direct business with startups, the innovative atmosphere and benefits for millennial employees are compelling draws that will see more and more firms setting up satellites in coworking spaces. Coworking spaces are not just for freelancers and entrepreneurs any more, they provide big benefits for big business too. 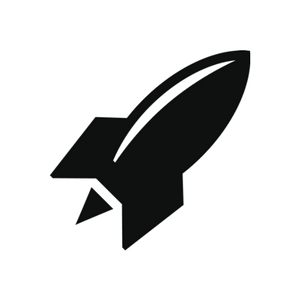 Want to learn about RocketSpace Campus options for Corporates? Learn more about our work with Corporates. 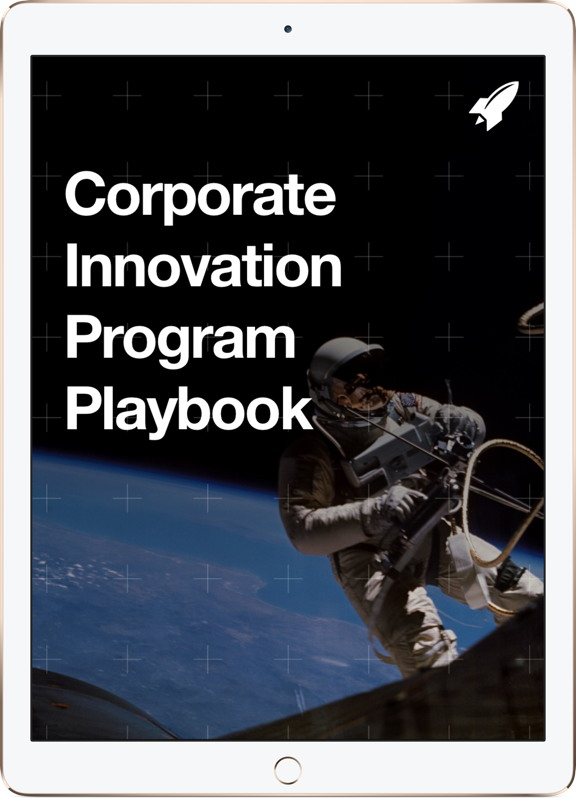 Looking for more ways to drive innovation at your company? Check out Grow Intrapreneurship at Your Company [Part I] from the Corporate Innovation blog.